Made it to Bangkok, Thailand, currently I have internet access but it’s slower than molasses. So most of my post will be very short and to the point. 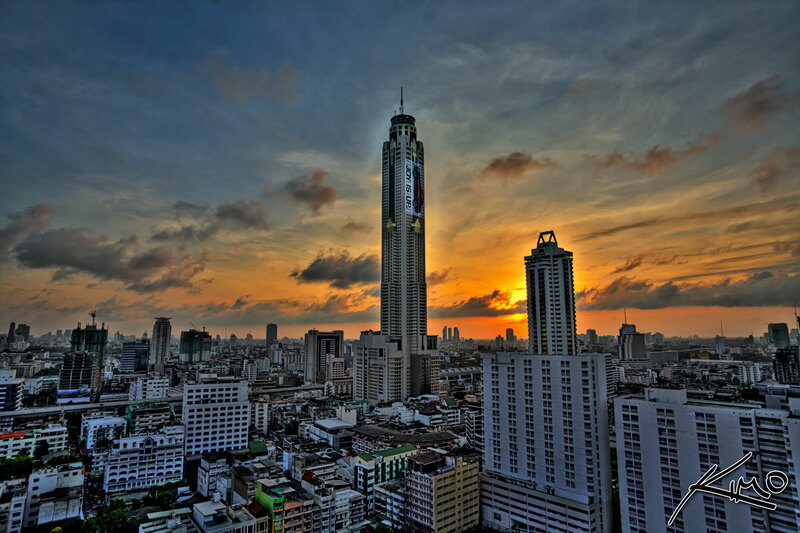 This is a sunrise shot overlooking the city of Bangkok. The tall building seen in this photo is the Sky Hotel. The tallest building in Thailand or so I was told.